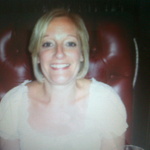 I am nearly AAT fully qualified, work part time for a local Accountants, and self employed for a couple of days a week. I have lots of experience working on manual and computerised...Read moreI am nearly AAT fully qualified, work part time for a local Accountants, and self employed for a couple of days a week. I have lots of experience working on manual and computerised accounts. Please get in touch if you want a good honest experienced hard working bookkeeper.